This set of four coasters has been inspired by our South Coast location. 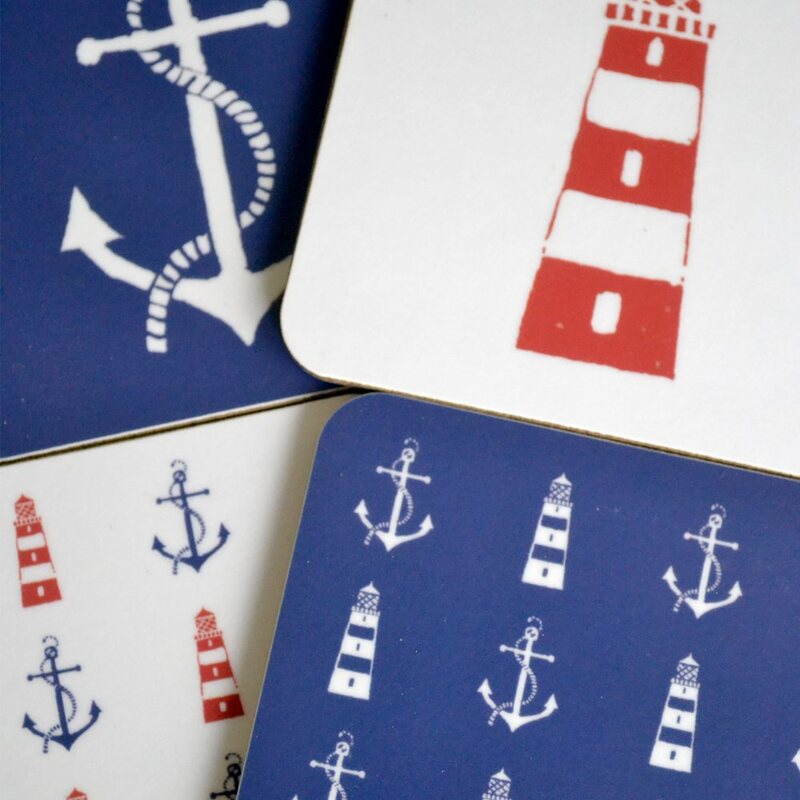 The designs were created from our original hand-carved linoprints, and feature anchors and lighthouses in nautical colourways of Red, White and Blue. 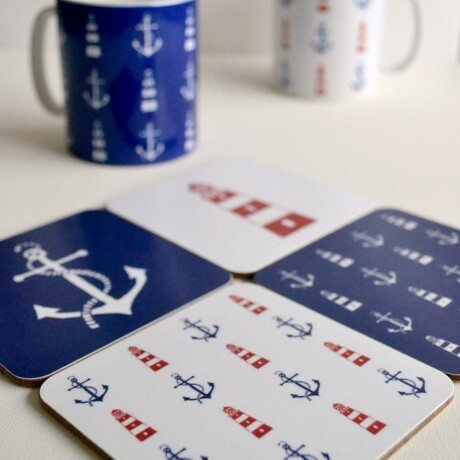 Each melamine coasters is 10cm square with rounded edges and backed with cork. They were designed and made in the UK.